It's startling to think of the multitude of objects Leonardo da Vinci conceptualized, and it's a tad heartbreaking to realize he saw so few of them actualized. But nearly 500 years after da Vinci sketched his plans for a musical instrument he dubbed the Viola Organista, Polish concert pianist Slawomir Zubrzycki spent more than 5,000 hours making da Vinci's idea a reality. 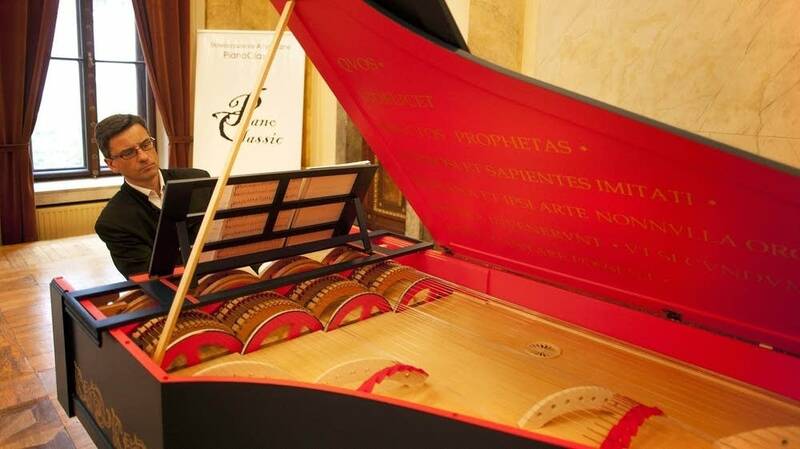 In 2013, Zubryzcki debuted the instrument at the Academy of Music in the southern Polish city of Krakow. As reported in the Sydney Morning Herald, Zubryzcki said, "This instrument has the characteristics of three we know: the harpsichord, the organ and the viola da gamba." Watch the performance in the YouTube video below; you'll recognize the pieces. And if you listen to the audio without watching Zubryzcki at the keyboard, you may think you're hearing a small chamber ensemble rather than one person playing a single instrument.